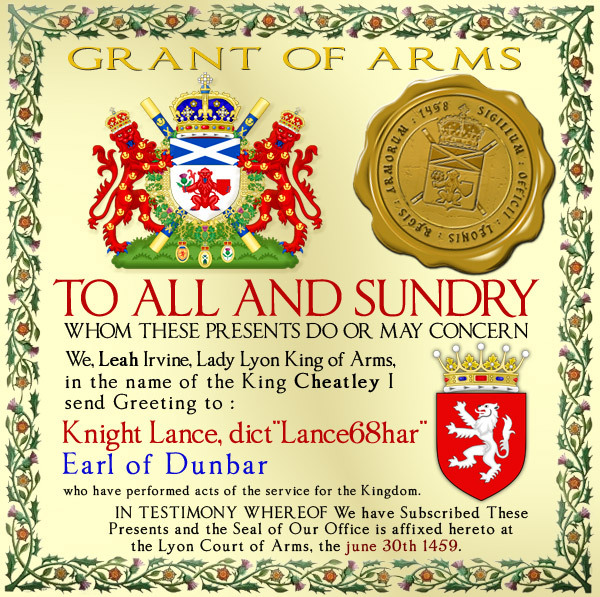 Knight Lance, Chief of the Clan Dunbar, Earl of Dunbar, dict "Lance68har" (Grant of Arms) since 30th june 1459. Romain de Saint-Clair, Castellan of Caerlaverock, Earl of Eglinton (Grant of Arms) since 25th june 1459. 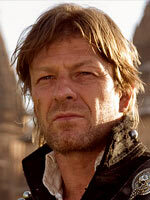 Last additions in the list of the persons ennobled in the Kingdom of Scotland. 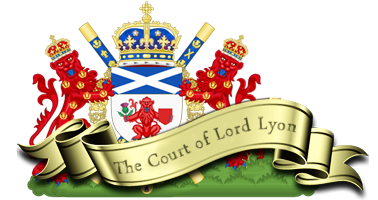 - Lord Romain de Saint-Clair, Castellan of Caerlaverock, Earl of Eglinton (Grant of Arms) since 25th june 1459. 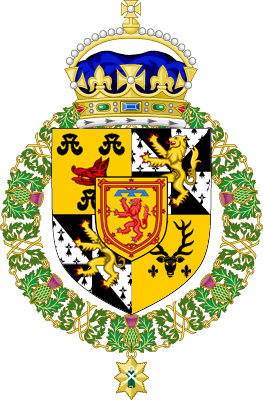 - Knight Lance, Chief of the Clan Dunbar, Peer of the Kingdom, Earl of Dunbar, dict "Lance68har" (Grant of Arms) since 30th june 1459.